» Forum » Restoration » Restoration questions » Is there a trick to these rubber things? » Is there a trick to these rubber things? Is there a trick to these rubber things? 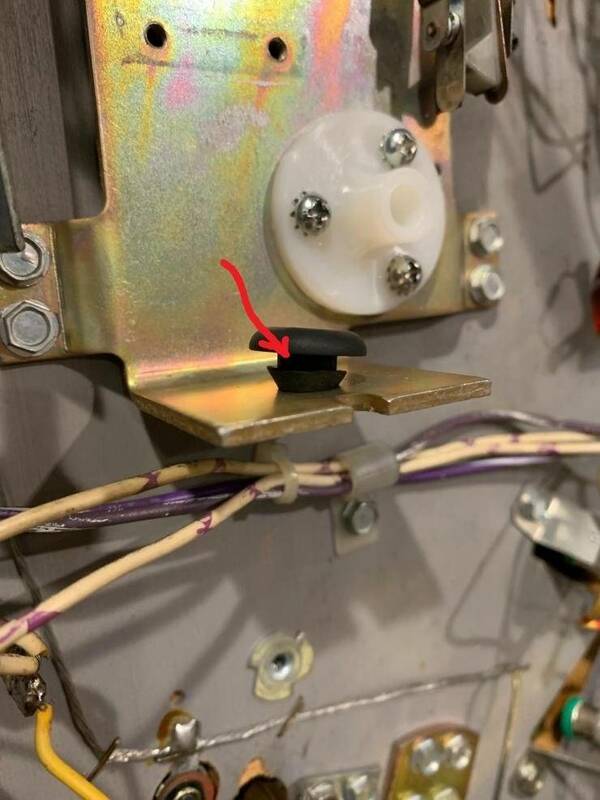 How do you install these rubber bumpers into the flipper bracket? I assume there is some kind of trick because pressure just makes them expand further. I use a small flat head screwdriver to get a part of the lip through then keep pressure on it and do the side to the 90 deg. That's usually enough for it to pop in. I use a combination of both a small flathead screwdriver and a little dish soap. If that's for your firepower you don't use those. They come in the kit but you leave them out. They will decrease the angle of the flippers so much it's hard to catch and hold the ball. That flipper base does not use rubber grommets. These are for my pinbot. It does use this . I’ll try the flathead tomorrow. Thanks! Tiny spray of light silicone directly on rubber. Boom. Pushes right in.